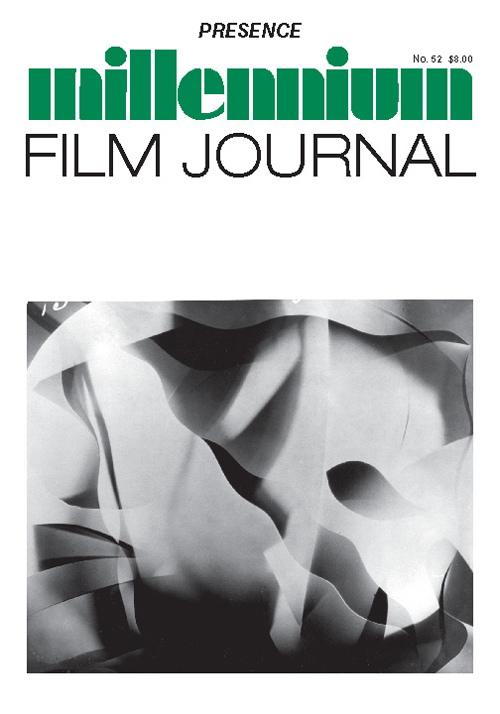 This essay in Millennium Film Journal, a leading publication in avant-garde film and video with a rigorous editorial process equivalent to peer review, originated in a talk for a conference, on ‘Projection Art’ (Edinburgh, 2008). Rees argues that studies of the rise of gallery video from a minor to a dominant art form had not acknowledged its historical predecessors in film as a performance or installation genre. To redress this decade-long gap, the essay outlines a complex period in the 1970s, when both conceptual artists and medium-specific filmmakers explored new systems and structures that eventually became ‘expanded cinema’. There is a need for historical research in this area to account for artistic diversity. A shared use of a technology does not guarantee a common aesthetic or social purpose. The differences revealed by historical comparison should be acknowledged in critical discussion. These and similar issues are part of a current debate about art media and artists’ film in such journals as Art Monthly, Frieze, MIRAJ, Sequence, Screen and Millennium Film Journal. Rees has presented talks on this theme at many seminars and events, including research conferences at Chelsea College of Art and Design (2011), Senate House, University of London (2012) and Camden Arts Centre (2013). Selected works are described and illustrated to show the variety of practice from multi-screen projection to drawing on film. The essay intends to inform a wider (and especially US) audience about a little-known aspect of UK experimental art. It questions historical continuity as a simple line of descent. It looks at contemporary filmmakers who work for the screen – or screens – rather than the gallery as such, and where different kinds of audience and spectatorship are mobilised. By contrast, much gallery video derives from different practices that bypass the historic film and video avant-gardes.